In episode Jim and I dive into the topic golf swing tempo and rhythm. We talk about how often we as golfers over look tempo and rhythm because swing speed and distance always seem to be on our mind. Jim provides some great examples of what tempo and rhythm is and what it isn’t. He’ll also tell you how and why tempo and rhythm is the key to greater club-head speed, more control and more distance. 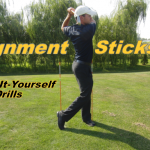 We also chat about some golf swing fundamentals where he shares some tremendous golf tips. 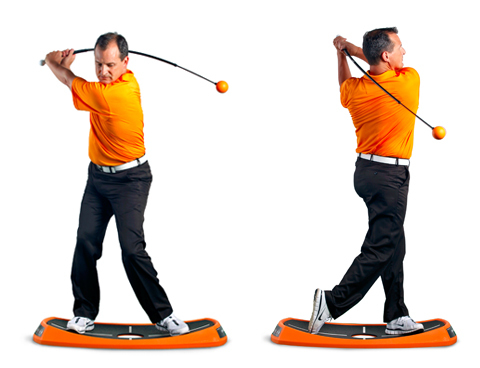 Toward the end of the show I ask Jim about his products, the Orange Whip Golf Swing Trainer and the Orange Peel. Like all my guests, Jim is incredibly knowledgeable about what he does, he is transparent and unpretentious. I can’t begin to tell you how over looked and under appreciated rhythm and tempo is with both weekend golf and even golf instructors. Because of the relevancy of and importance of those golf swing fundamentals, I look for products like the Orange Whip for myself and for my students. I have used the product and I am an huge advocate. It’s simple, easy and doesn’t require a large investment of time to be effective. I love that it’s made in the U.S.A. and I highly recommend Orange Whip products to golfers of all skill sets. Jim Hackenberg demonstrating the use of the orange peel and orange whip.